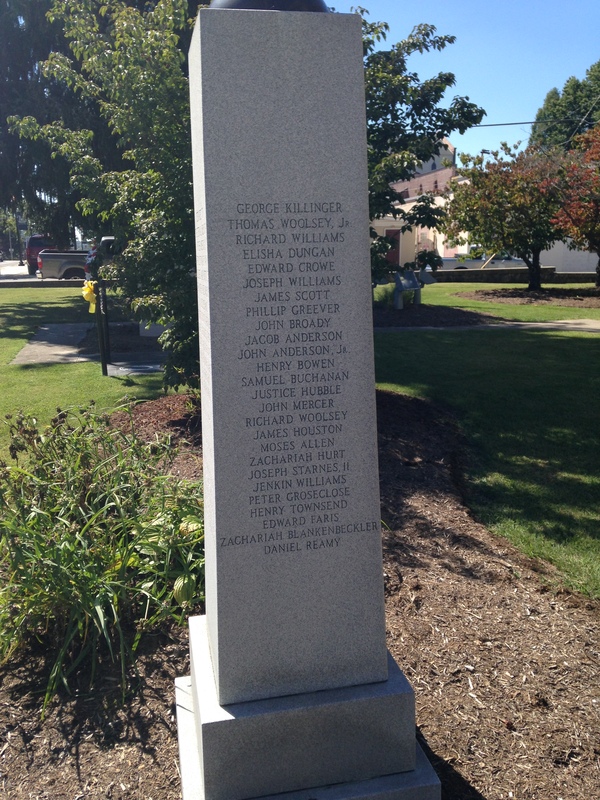 Just within days, the Costa Rican guests will be arriving in the US and then to the Emory & Henry College campus. The results of many months planning and various people working together will soon be evident to us all. The recent photo below is one that speaks volumes about the continuous efforts of the “Friends of Copey” as useful and meaningful partners with the Copey Learning Center. This is one of the best photos I have received from the Copey Learning Center. Shown are the past and current Executive Directors. Also shows the past students (Noelia and Celeste) who visited E&H College last summer and the current students (Fatima and Adriana) heading our way. The community of Copey can proclaim that in a short 12 month period, four of their brightest and best students have visited the US and our college. generosity and interest so many of you have for this project. As of today, we can proclaim victory and success having exceeded the fundraising goal by several hundred dollars. My previous report indicated the campaign was officially closed with several hundred dollars “below” our goal. But, I also indicated there were funds still forthcoming and they have been received. My desired goal was to have the Pathway Project 100% funded by my E&H College friends and affiliated members of the college. The total amount ($3,065.00) raised includes some donations from donor “Friends” who did not receive my request since they were not in the E&H category. However, E&H friends and affiliates did donate enough to meet and exceed the goal of $2,700.00. Now, two years running, let it be clear that the “Pathway Project” involving our college has been successfully funded by friends and affiliates of the college. And, if some of you still want to join in with a donation, Thank you and..send the donation in. We are covering basic travel expenses and also want the experience to be as memorable as possible. For example, once they arrive in DC, they will spend time looking at the sites and will attend the Kennedy Center to watch the NYC Ballet performance. Then while traveling down Interstate 81, they will visit the Natural Bridge. If there are funds unspent at the conclusion of this project, these funds roll over to next year. You can pay forward as well. There is planned an official greeting and reception for our guests shortly after their arrival. A major supporter of the “Pathway Project” and a fellow E&H Board member has invited us to join in on the reception on June 13th at his home. This is a great opportunity if you are nearby to meet in person our guests as well as others who are also “Friends of Copey”. Because of the very wide distribution of my Blog which includes both “Friends of Copey” and those just curious, send me an email requesting time and location. This will prove to be an unforgettable reception. Join In! Kids Here and Kids There! Today is a new week at the Copey Learning Center as the first week of operation is over. I have been holding onto student letters from the Meadow Elementary School in Lehi, Utah waiting for the Copey Learning Center to reopen. The letters will be sent soon and will be joyfully received by the kids in Copey. We are happy this form of communication continues between students. We are also planning the next Skype session with the Copey students and the Jefferson Elementary students (K-Kids) later in the month or early April. This is our effort to put more focus on kids interacting with kids this year. 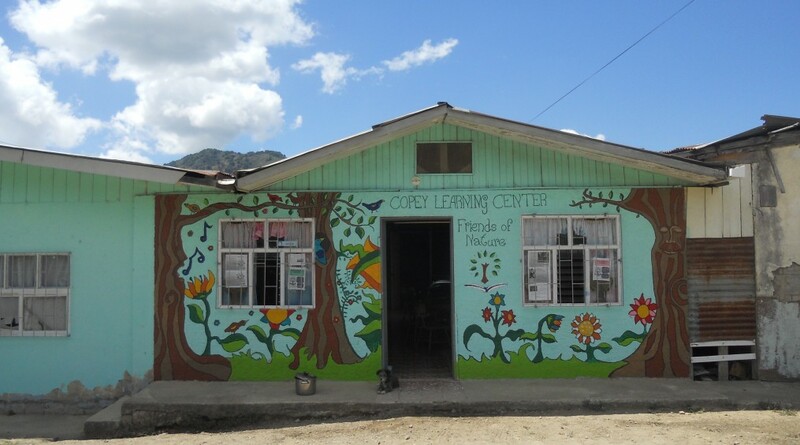 On March 18, the two Emory & Henry College students scheduled to travel to Copey for a volunteer assignment, will begin having meetings with the Copey Learning Center. The students will participate in several Skype sessions as part of their orientation and education designed to prepare them for their work at the Copey Learning Center. With the use of Skype, the students will establish a relationship with the staff and will be well-informed of the various facets of their involvement with the Copey Learning Center before leaving campus in early May. Just one more amazing aspect of this continuous journey. This time one year ago, one of the most phenomenal things happened. Four travelers boarded a plane in Salt Lake City, Utah headed to Costa Rica. Their mission was…“make a delivery to the Copey Learning Center”. The story was beyond my ability to process. Kids in the Meadow Elementary School collected 400 pounds of school supplies for kids in this small rural community…Copey. This truly fantastic story is mostly provided in the link https://friendsofcopey.com/2018/03/. Tamarie, Debbi, Lisa, and Principal Carolyn are all remembered this month for having represented the generosity of kids at Meadow Elementary School, their families, and the spirit of our purpose as “Friends of Copey”. You are truly remembered and honored for the love and leadership you showed the rest of us. Thank You! And, I might add that it is snowing as I am ready to send this Post to you. Ouch! Yes, this Post is a couple of days late. Monday and Tuesday were unbelievably busy as I have been working on some other responsibilities and deadlines. Monday in Copey, the doors swung open once again to greet a new day, a new school year, and to greet 40 of more bright faces eager to learn English. Even this far away from the small community, I can feel the excitement and joy that little building is dealing with this week. I do not have all the details since staff is far too busy at the moment to keep me updated. You must be as patient as I have to be. I will pass along the news soon. All of the funds are now in for both campaigns and again I thank everyone…everyone for the generosity, the interest, and the friendship supporting this project. We met both goals in record time and that is a very positive sign of support. It is always a wonderful and satisfying feeling to get this behind me. It could not be done without you. It was my pleasure on Sunday morning to speak to the Copey Learning Center President and a Board member, Lorena and Catalina. We had the opportunity to visually spend time together to discuss a variety of school related issues including plans for the upcoming “Pathway Project”. We hope to do more of these sessions in the future. I have spoken about this a couple of times now but I feel as though I never provide sufficient justice and thanks. So, here I go once more. Bev, THANK YOU! By now most of you should know that Bev extracts all of my Posts from my web site each year, cleans them up, and places each Post inside a binder. Thereby, I have a complete notebook or binder for each year we have been organized as “Friends of Copey”. At first, I thought this was just very nice to have. Then, I discovered having this hard copy record provides many benefits. Some of these binders have traveled back and forth across the country several times. These binders have spent weeks and months in the care of others interested in reading the Posts. They have become very easy reference points if I am trying to show or explain something about “Friends of Copey” and the Copey Learning Center. I will even confess having used these binders to prove to strangers that I am really related to Aunt Katherine. Who knew??? So, these binders mean a lot to me. Every one of the Posts can be found and read on the Blog but for an “old school” kind of guy, these are special. There are many people, stories, including the amazing and the unexpected events, inside the covers. I do not know… but maybe one day my grandkids when older will take time to read these Posts and find some things interesting and informative about the generosity of others, the active meaning of “hearts of servants”, a very special community, and maybe learn something about old grandpa. Certainly, they will learn how wonderful it is to have quality “Friends”. Thanks Bev…for now and for the future.